A computer program that merges a number of files together into one archive file, or a series of archive files, for simpler transportation, storage, or backup is called a file archiver. Archiving or packing refers to the process of making an archive file, while unarchiving, unpacking or extracting means reconstructing the original files from the archive. The simplest file archivers just gather a list of files and concatenate their contents sequentially into the archive. For transferring a large number of individual files over a high latency network like the Internet, numerous file archivers employ archive formats that provide lossless data compression to reduce the size of the archive. 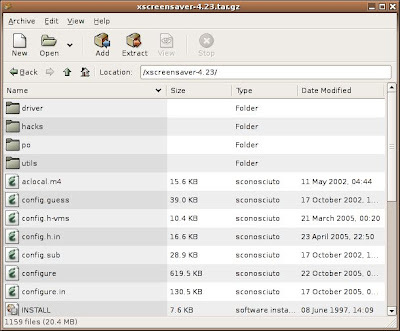 Xarchiver is a popular GTK+2 based file archiver that is designed to be independent of the desktop environment. It is utilized in a good number of lightweight Linux distributions like Xfce and LXDE. 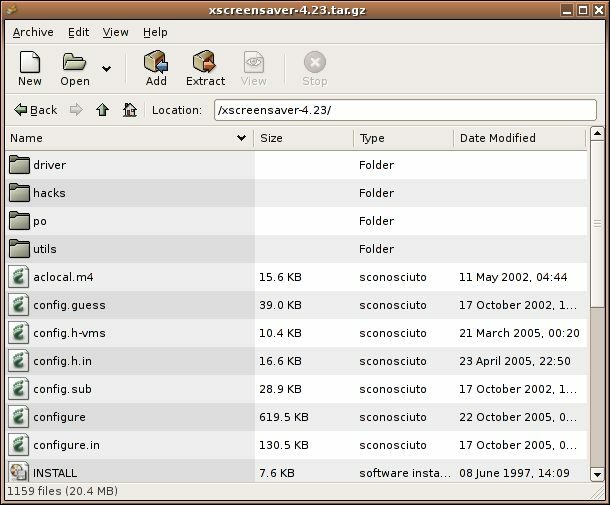 Xarchiver supports 7-zip, arj, bzip2, gzip, rar, lha, lzma, lzop, deb, rpm, tar and zip archives, archive navigation with mimetype icons, archive comment ability and archive listing as HTML or txt. Cut/Copy/Paste/Rename actions within files of variety of archives are also supported. Password detection and protection is automatic for arj, zip and rar files. File Roller is a simple and easy-to-use archive manager for the GNOME desktop environment. It has a graphical user interface and can create and modify archives, view the content of an archive and files contained in the archive, and of course extract files from the archive. 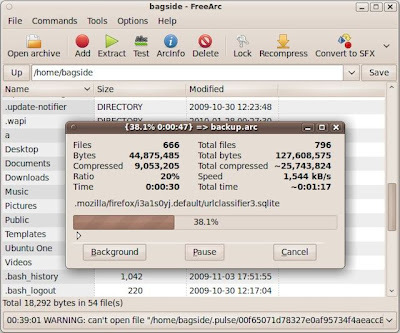 It supports plenty of archive files such as 7-Zip (.7z), Tar, WinAce (.ace), gzip, RAR, and a whole lot more. Ark is an archiving tool for the KDE desktop environment that is included into kdeutils package. It can view, extract, create, and modify archives through its intuitive GUI. Ark can handle different file formats that include tar, gzip, bzip2, zip, rar and lha. If the appropriate plugin from kdeaddons package is installed, it can be integrated into Konqueror in the KDE environment to handle archives through KParts technology. PeaZip is both a file manager and file archiver that supports its native PEA archive format, featuring compression, multi volume split and flexible authenticated encryption, and integrity check schemes. It also has support for other mainstream formats, with special focus on handling open formats. With PeaZip, users can run extracting and archiving operations automatically using command-line generated exporting the job defined in the GUI front-end. For speeding up archiving or backup operation's definition, it can also create, edit and restore an archive's layout. If you know of other free and open-source file archivers for Linux that I fail to include on my list above, feel free to share them with us via comment. Thank you for your info Jun!